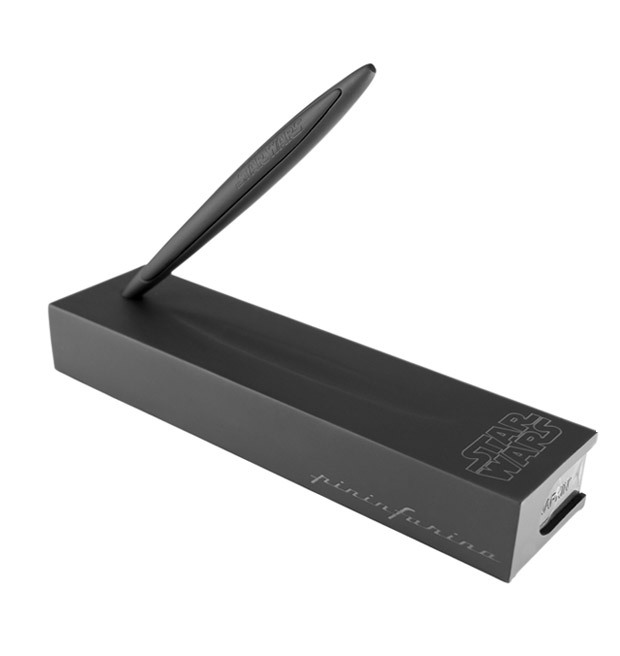 Famed Italian design house Pininfarina has released a special edition writing tool for Star Wars fans. An expensive writing tool. Use the Force to write endlessly with no ink and no refill. This world exclusive and limited edition pen has the Star Wars logo on the stylus and stand. Your father wanted you to have this. It is an elegant writing instrument from a more civilized age. It will cost you around $143(USD) That’s an expensive pen, but one that fans of Star Wars will love to have sitting on their desk. Let your writing skills flow as the Force flows around us, and May the Force be with your wallet.